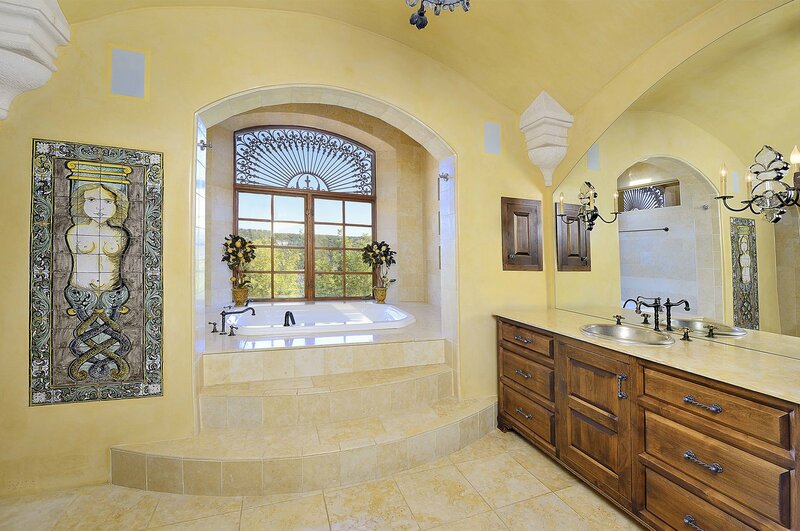 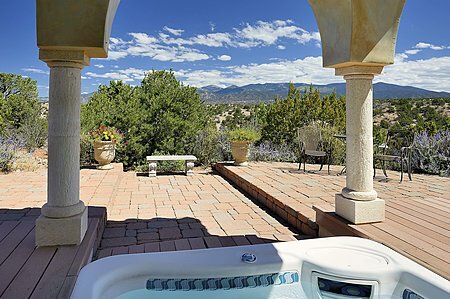 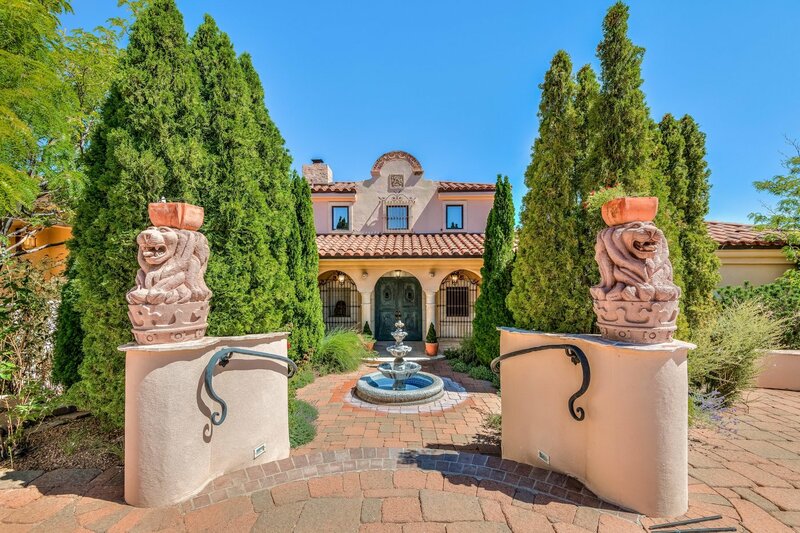 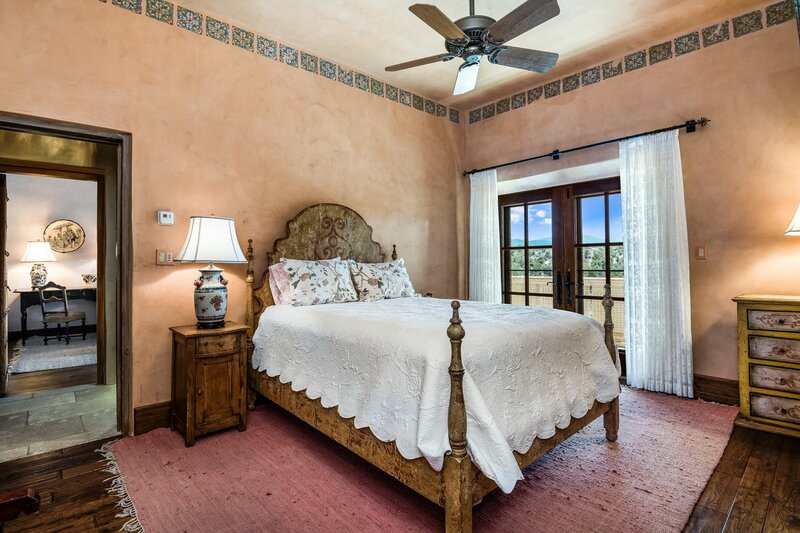 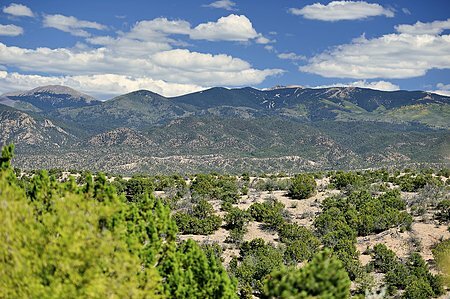 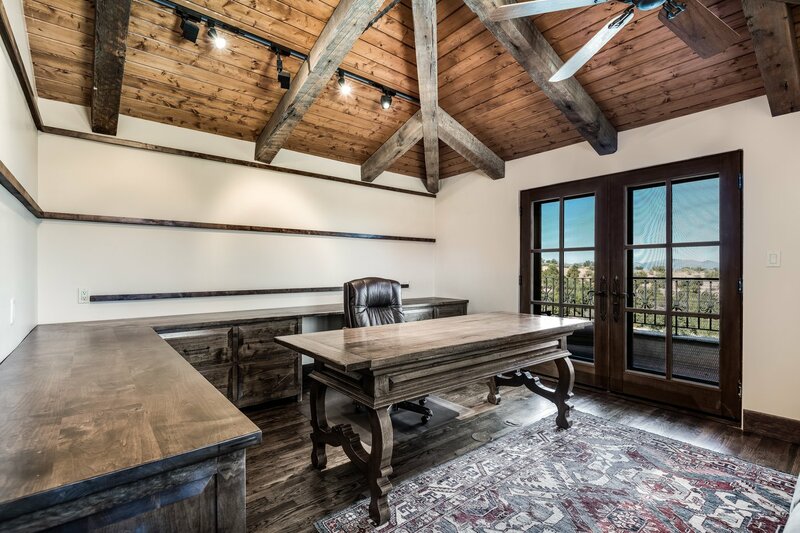 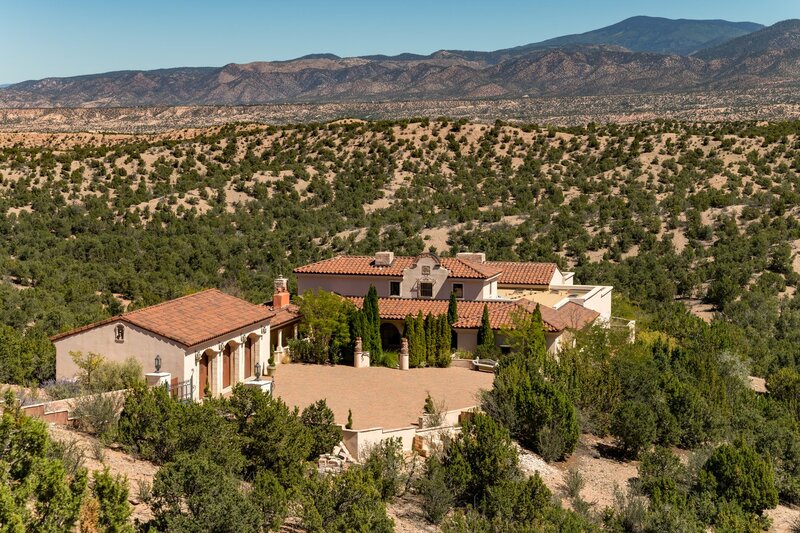 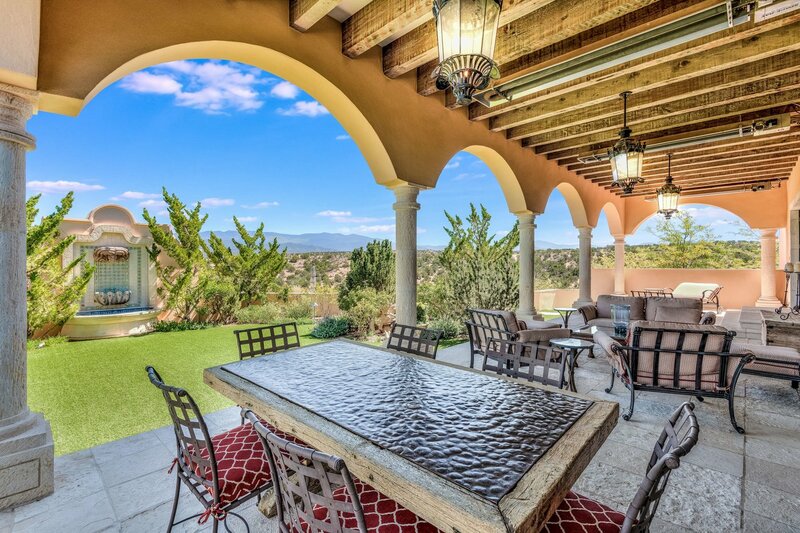 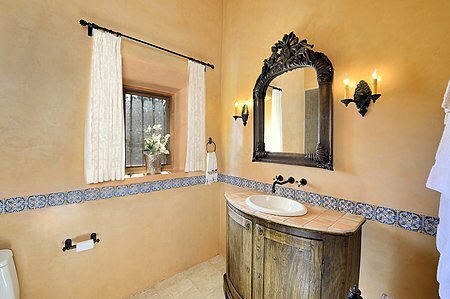 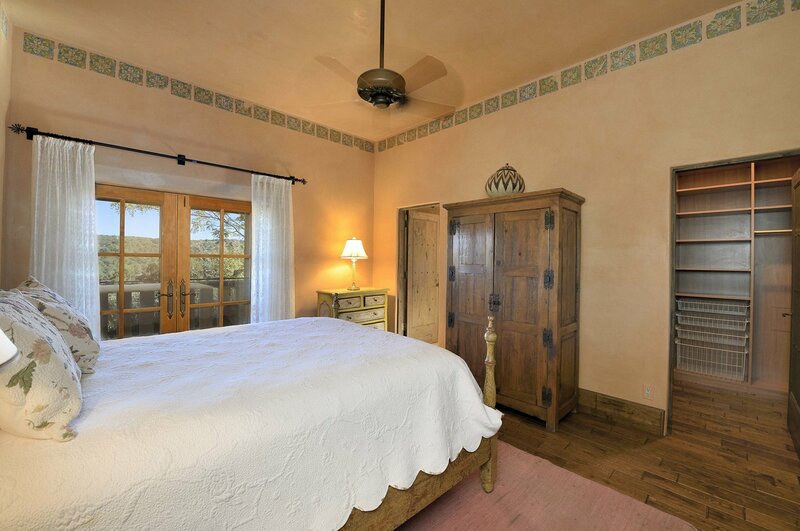 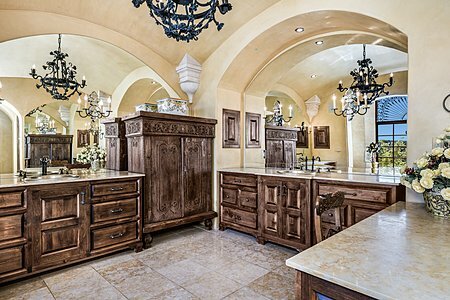 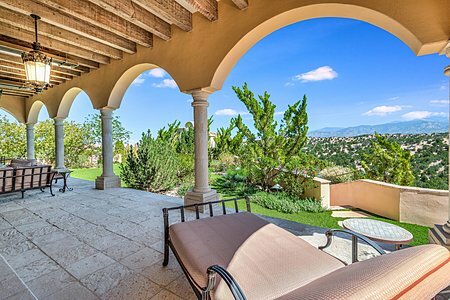 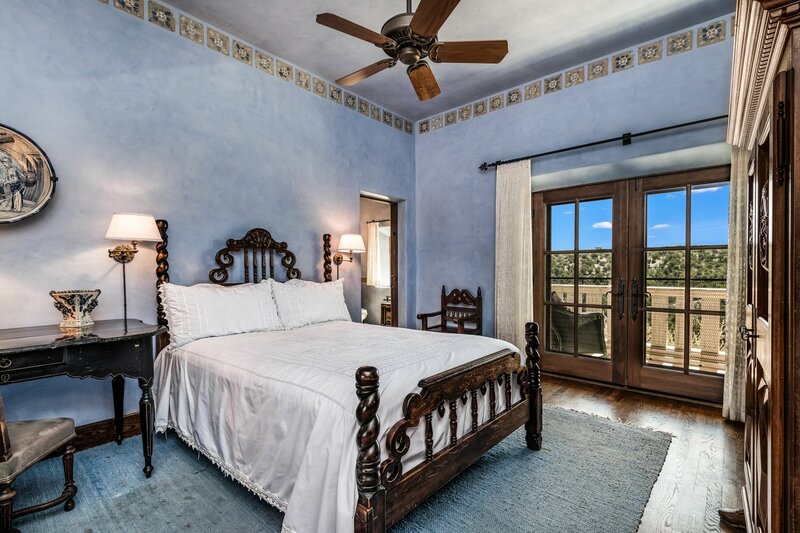 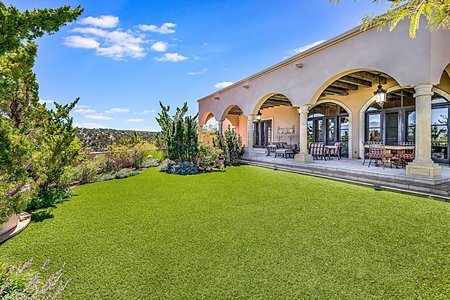 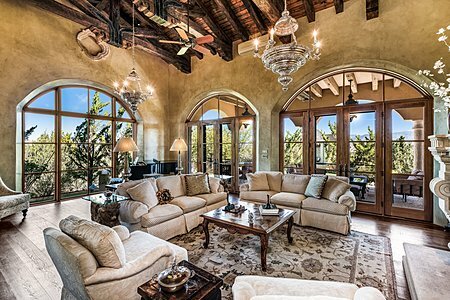 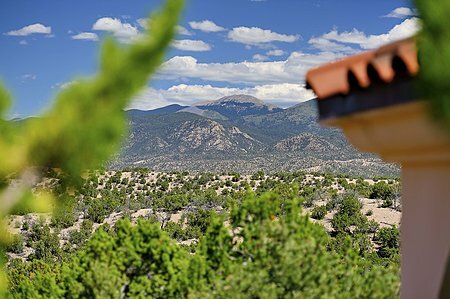 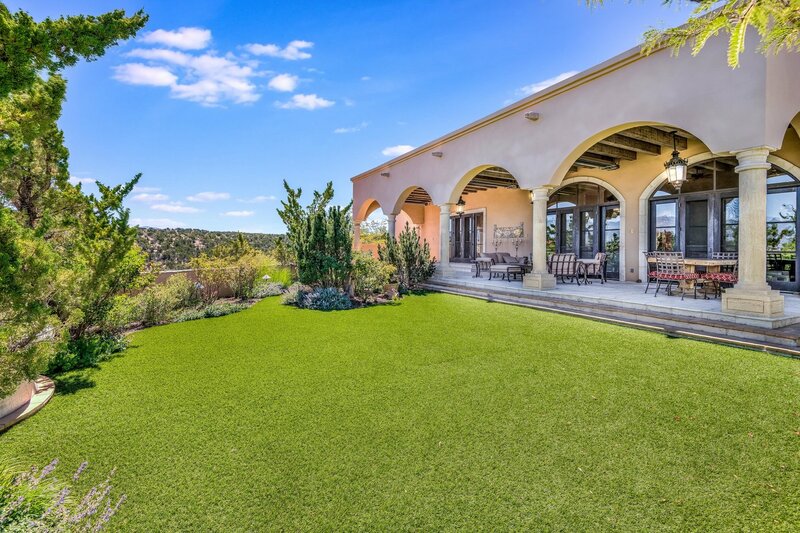 Villa del Alma, an elegant 3-bedroom, 4 bath Mediterranean-styled residence, is sited on almost 13 acres to maximize the views of the Sangre de Cristo mountains. 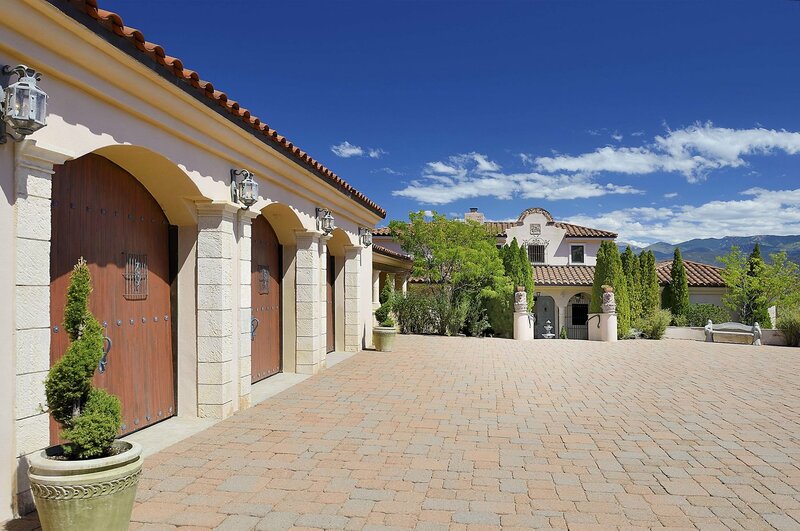 A private gate by the ridgeline road leads to a stone-lined drive which descends to an expansive parking area bordered on the left by a three-bay garage. 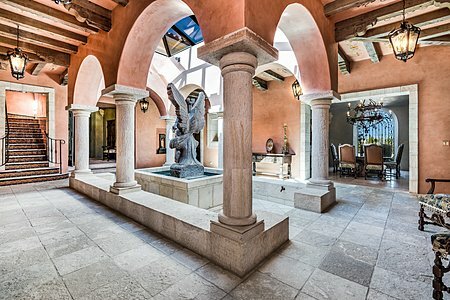 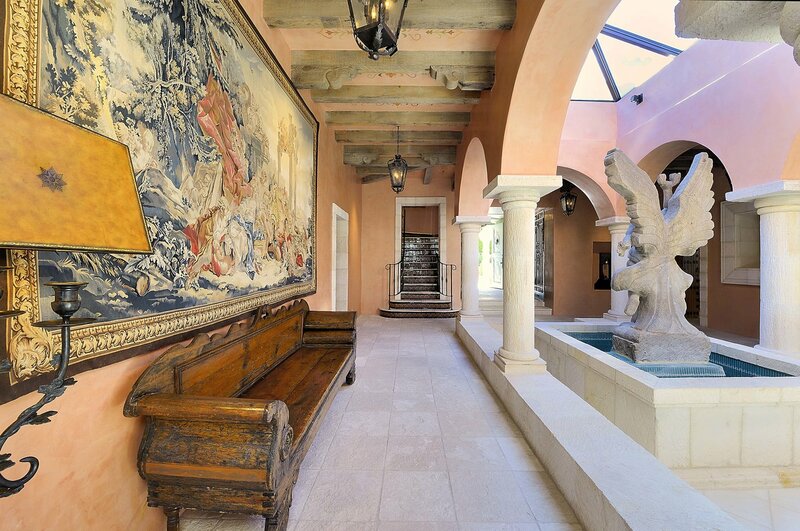 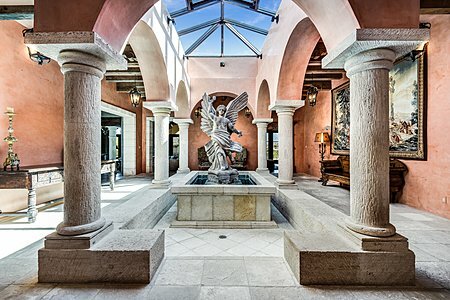 The heart of this unique home is an Italian stone-sculptured angel under a colonnaded-covered atrium. Artfully designed, this central space opens to a spacious living room with a captivating carved fireplace, a gourmet kitchen with custom tiles, and dining room with a hand-painted mural. 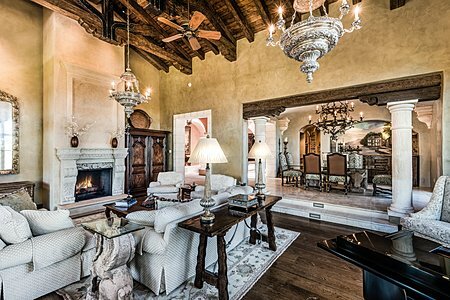 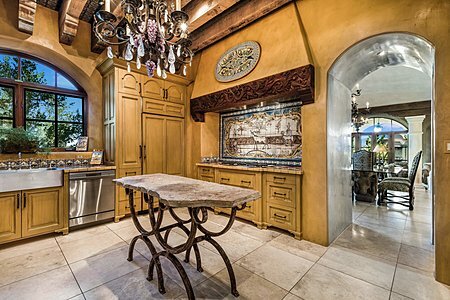 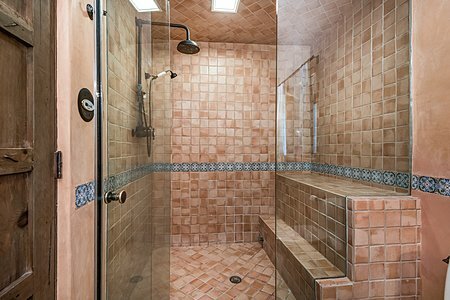 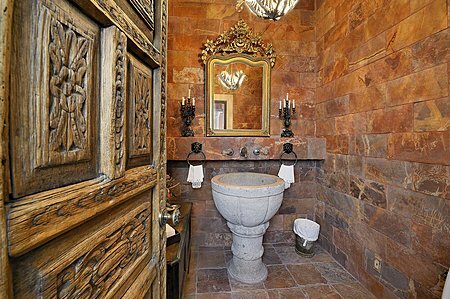 Highlights include a Spanish tile roof, antique wood and wrought iron details, copper-cladded windows and rough-hewn doors inside and out. 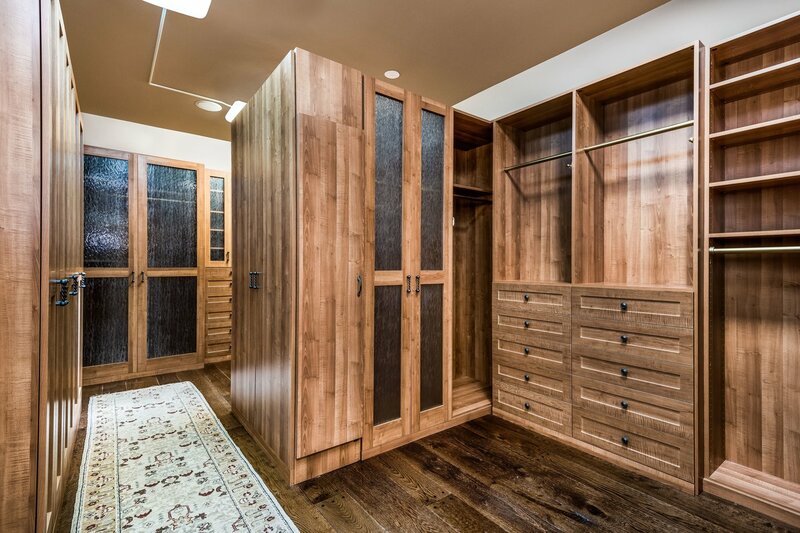 Master bedroom includes dual closets with wooden built-ins. An ample portal with gas-fired ceiling heaters overlooks a lavishly landscaped yard with an impressive fountain and majestic views. 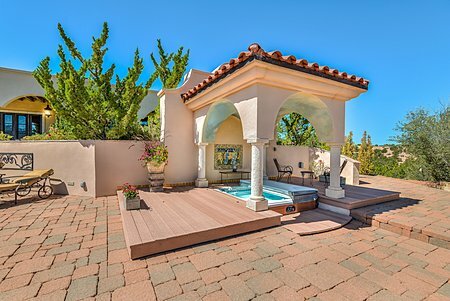 A separate outdoor atrium covers a private hot tub spa. Full adobe including interior walls. 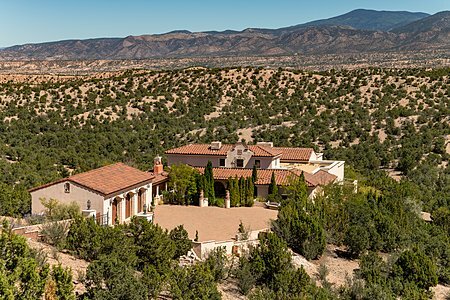 There is a walking path down to the arroyo on the property. 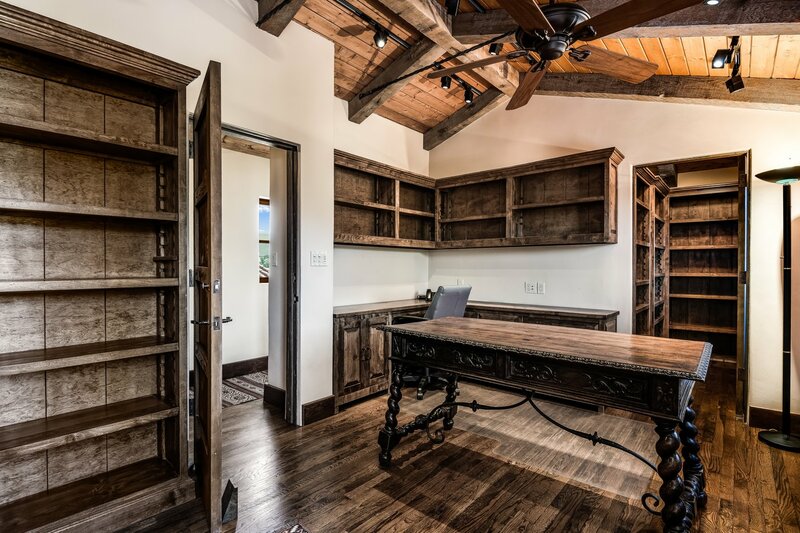 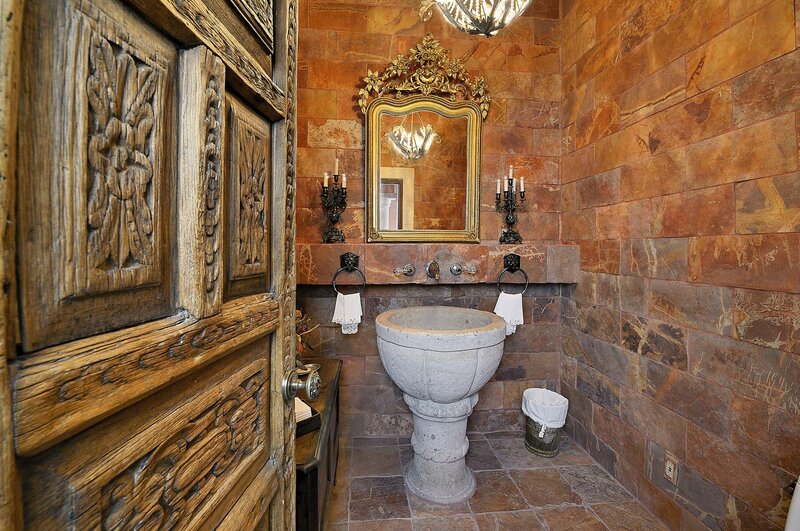 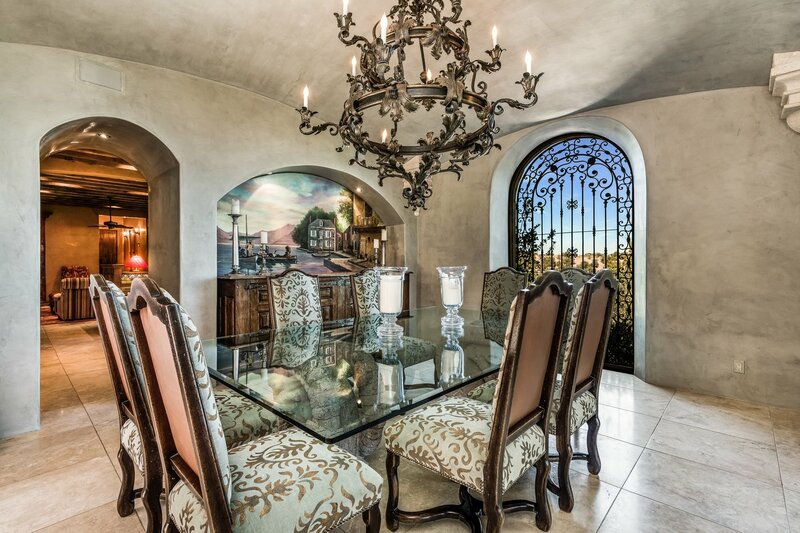 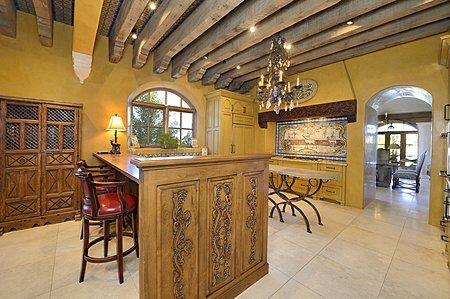 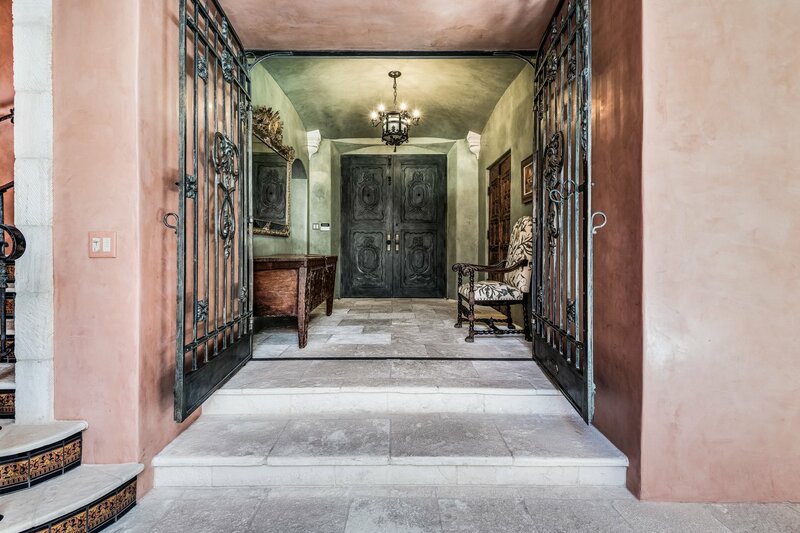 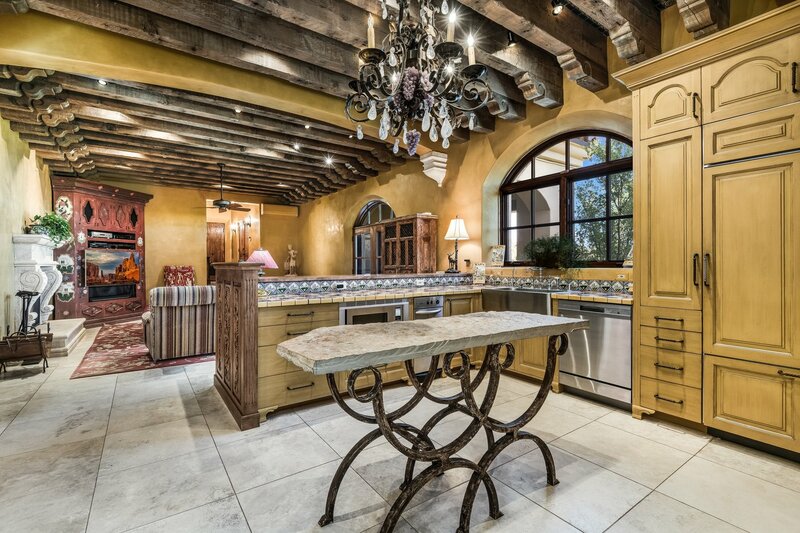 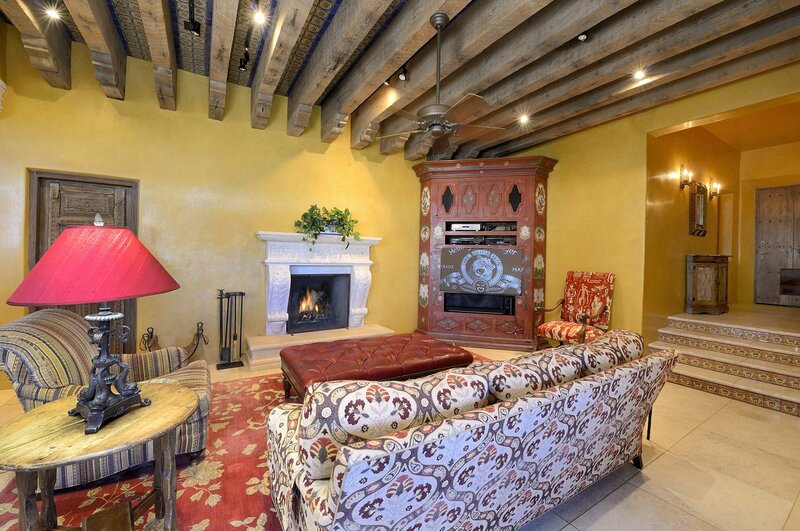 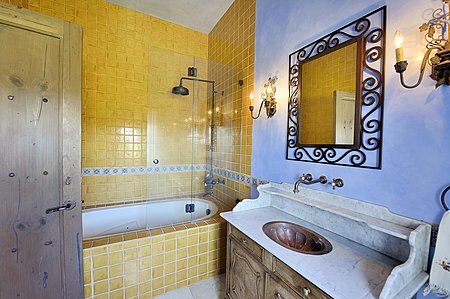 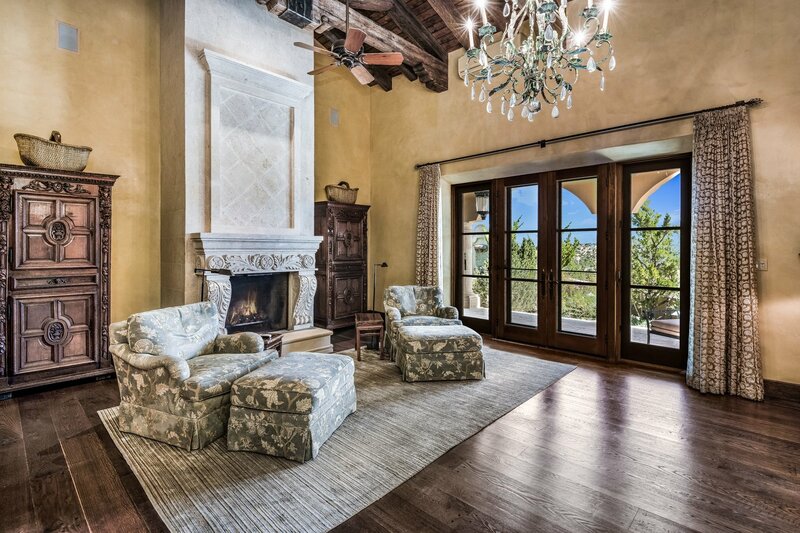 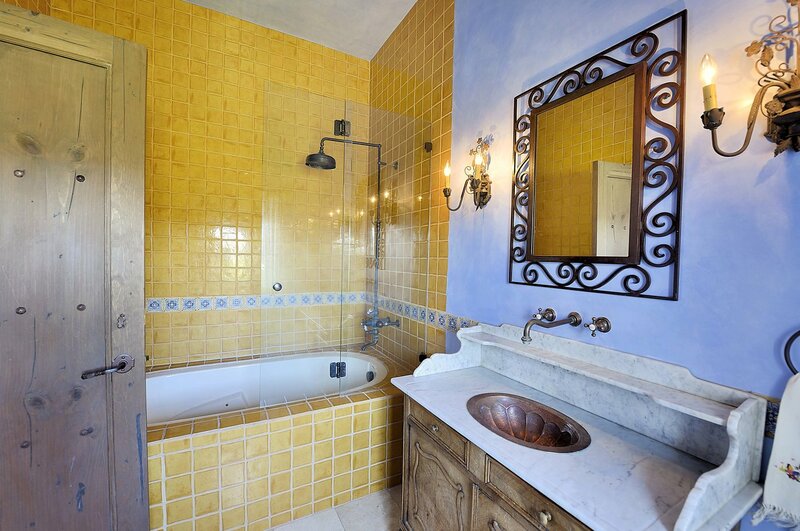 Easy access to both the Opera and downtown Santa Fe.